This month was my birthday, which was brilliant, and the Girl Gang Event (post to come) so I’ve had a pretty awesome time. Plus I’ve had two weeks off. Bonus! I got loads of blogging done, saw lots of friends and managed to have some chill-out days as well. Dry Shampoo from Living Proof – I got this from The Big Blogger Expo and I’ve nearly finished it already. It’s definitely one of the best dry shampoos I’ve used so far and it smells incredible. It doesn’t leave my hair with that weird white coating either. 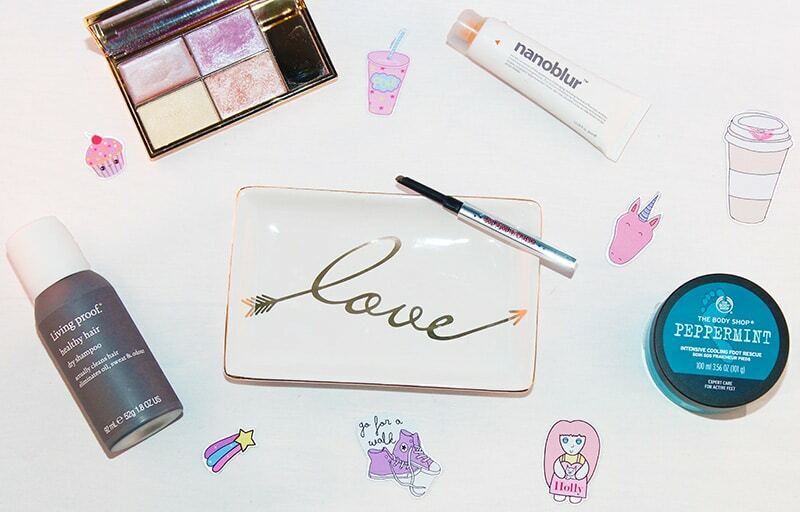 Nanoblur from Indeed Labs – This is such a brilliant product; it blurs out skin imperfections and fine lines and you can either use it on its own or with foundation (under powder but over liquid!) I’ve been absolutely loving this especially on days when I don’t particularly want to wear foundation but I want my skin to look better. 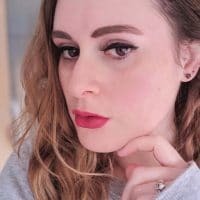 Goof Proof Eyebrow Pencil from Benefit – I got this as a free sample and I’m gutted that it’s nearly all gone. I was lucky enough to get the right colour for me so I’ve been using it non-stop. It’s £15 though so I don’t think I’ll be buying another one, I think I’ll look for a dupe instead! Peppermint Intensive Foot Rescue from The Body Shop – This was in my goody bag from the Thirty Plus Awards evening. I’ve been putting it on after my showers and it’s definitely made my feet softer and smoother. I’d recommend not using a huge amount though otherwise you might find your feet feel slidey. Solstice Highlighter from Sleek – Gah, I can’t explain how much I love this. It’s all kinds of #goals #highlighteronfleek. I love the cheek and cupid’s bow highlight the most <3 Just look at it!! That Sleek palette looks amazing but I’ve yet to add it to my collection, I need the sparkle in my life! I love those little stickers by Dorkface! So cute, the sleek palette is everywhere lately. i need to give it a try! Not as much as I adore you! That tray is so pretty. I need to stock up on a few bits from The Body Shop and the peppermint foot lotion has been a favourite of mine for years. Jemma’s stickers are just so cute, I love using them in my diary or on handwritten letters, and Jemma is so lovely. I’ve only just discovered it! It’s so good!